Log home designer and manufacturer with direct and independent representative sales throughout the United States. Living Better Starts Here™ Alair Homes is an award-winning custom home build and renovation company helping individuals and families enjoy happier, healthier, more productive and more comfortable lifestyles. Our philosophy is simple; we want to be completely unified with you in our goal of achieving an incredible product, on time and on budget. We know that there is only one way to do that—with transparency, thorough planning up front, and truly superior management systems for executing seamless projects. Every detail of our business as it relates to each project is an open book to our clients. Budgets, trade quotes, trade contracts, material costs—absolutely everything. What we see is what you see. Every Alair Homes project begins in our exclusive proprietary project management program. With this easy-to-use software, clients have access to real-time accounting updates, schedules, selections, sub trade communications, project specs, sub trade quotes and project galleries. We work with the absolute best suppliers and sub-contractors and get the best materials and products possible for your project. We pass all of our buying power, our trade relationships, and our unparalleled best practices directly to our clients. Www.ashecountybuilder.com We've been building mountain houses for 25 years. Our attention to structural quality, designs that please our customers, and building practices that are kind to the environment has made us # 1 in the high country. David's ability to listen and interpret the custom qualities his customers desire make him one of the top builders in Ashe County, North Carolina. MasterCraft Log & Custom Homes, LLC is a family owned, values centered home building company located in Ashe County, North Carolina. Brandon Dillard and C.H. Wagoner, a North Carolina licensed residential and commercial contractor. Our goal is to exceed your expectations by being fair and honest and building a great house or cabin. We build quality houses at affordable prices. From a log cabin to a permanent home in the mountains, MasterCraft can deliver. We don't quote a low price just to get your business only to inflate the construction cost as the project moves along. Our contract price is the cost unless you exceed an allowance or make changes to the project. In either case, we will tell you what to expect. There are no surprises at the end. We stand behind our work. We want you to be happy. We will not disappear after your house is built. Our many clients have given testimonials to our workmanship, customer service and price. For Bluff City residential home builders who also act as developers, the job starts well before the first nail is driven. They perform local market research to determine whether the prospective homesites make sense in the Bluff City, TN market, as well as survey the land on which the house will be built to make sure it is suitable for construction. Custom builders also obtain the necessary permits. 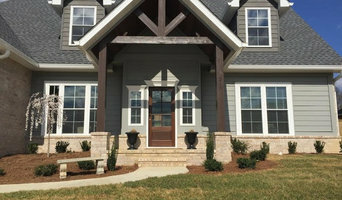 A good custom home builder in Bluff City, TN has skills that go far beyond construction — he or she must supervise subcontractors and artisans; keep tabs on local zoning regulations, building codes and other legalities; inspect work for problems along the way; and perform dozens of other roles that are essential in building a quality house. Here are some related professionals and vendors to complement the work of home builders: Interior Designers & Decorators, Landscape Architects & Landscape Designers, Architects & Building Designers, Kitchen & Bath Designers, Specialty Contractors. House builders are responsible for ensuring that the home-building project sticks as closely as possible to the specified timetable, particularly in the event of change orders. Custom and luxury home builders in Bluff City, TN also need interpersonal skills to deal with clients of all types, soothe frazzled nerves, negotiate conflicts and resolve problems. 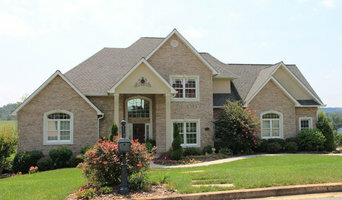 Find custom home builders in Bluff City, TN on Houzz. 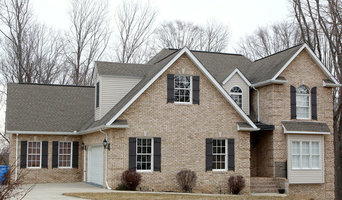 Narrow your search in the Professionals section of the website to Bluff City, TN home builders. You can also look through Bluff City, TN photos to find a house you like, then contact the builder who worked on it.